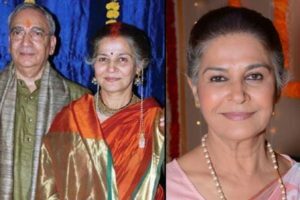 10 Bollywood Actresses who married late in life, No.8 was 60 years old!! Suhasini is a very famous actress. she has done many Bollywood movies. She was in a live-in relationship for a long time, which was broken in 1990. 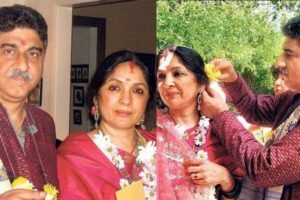 After that, he remained single for a long time after which she married Atul Guddu on January 16, 2011. At that time both of them were over 60 years old. At the age of 37, Neha Dhupia got married to her best friend Angad Bedi on May 10, 2018. He is also a and Bollywood actor. They are now proud parents of a baby girl. The Bong girl, found the man of her dreams when she was 37. 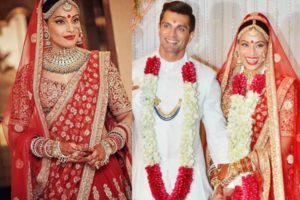 She got wedded to Karan Singh Grover, her co-star in the movie Alone, and a famous television actor. The couple tied the knot on April 30, 2016, and are enjoying marital bliss to the fullest. Previous articleThese 5+ Actresses Who Treat Their Father-in-Law As Their Father, No. 5 is Everyone’s Favorite!